Malindi high court dismisses Ken Nyale Petition against Senator Stewart Madzayo with a cost of 2.5 Million. -Justice W. Korir. - Bana Kenya News, Real African Network Tubanane. Home News Malindi high court dismisses Ken Nyale Petition against Senator Stewart Madzayo with a cost of 2.5 Million. -Justice W. Korir. Malindi high court dismisses Ken Nyale Petition against Senator Stewart Madzayo with a cost of 2.5 Million. -Justice W. Korir. 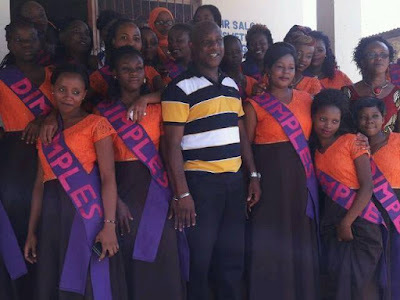 Malindi high court has dismissed the petition filed by Kilifi county Jubilee senatorial candidate Kennedy James Nyale against the current Senator Stewart Madzayo. The High court judge Justice W. Korir dismissed the petition filed on behalf of the Kennedy Nyale saying it did not satisfy petition was not filed according to the procedural envisioned by the deputy registrar report. The petitioned was regarded as invalid since no security was paid for it. The judge did not address the prerequisite application having ruled on the first application. The high court ordered the petitioner who is Kennedy James Nyale to accompany his files with Ksh 2.5 Million as the cost of the petition. The Senator retired Judge Steward Madzayo was elected by the people of the county of Kilifi according to the rule of law and will of the people. The dismissed cases have five days to gather more information and smoking guns to move to the step. The cases now head to the court of appeal after five days as ruled by the judge if the petitioner finds it necessary.